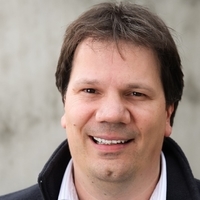 Martin Roetteler is a Principal Researcher at Microsoft Research Redmond and member of Microsoft Quantum – Redmond (QuArC). Prior to joining MSR, he was a Senior Research Staff Member at NEC Labs America (2005-2013) and a post-doctoral fellow at the Institute for Quantum Computing, Waterloo, Canada (2003-2004). Martin received his Ph.D. degree from the University of Karlsruhe, Germany (2001). In the past, he worked on projects funded by ARO, NSA, the European Union, and the German DFG. From 2011-2013, he was the main PI of the IARPA QCS project TORQUE, a joint effort between Raytheon/BBN Technologies, NEC Labs America, U Waterloo, and U Melbourne. Martin's current research focuses on quantum algorithms, quantum programming languages, and quantum circuit libraries in Q#.